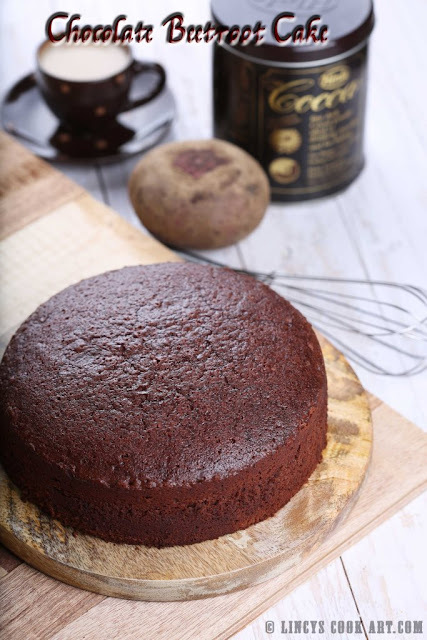 Chocolate Beetroot cake is an absolutely tasty chocolaty cake which is also high in nutrients. The added beet makes the cake super soft and moist and wait, also healthy. It is simple cake which could be consumed as such or could be iced with any frosting like Whipped cream frosting or Cream cheese frosting. I decided to prepare this cake as it is my blog's Second Anniversary. I am happy that i have been able to hang on to the blogging world for two straight years. I pray that God keeps me going for the years to come as well. 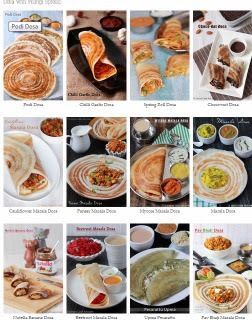 Posting recipes starting from finalizing/deciding recipes, purchasing ingredients, preping, cooking, styling the cooked food, clicking and editing pictures, Typing in the recipes and posting. Each and every step in blogging is quite exciting and interesting as it does involve a lot of time and hard work . Hope your (reader) support continues for the coming years too. * Do not use Baking powder and Baking Soda if you use Self raising flour. Prepare the cake tin by lining with butter/wax paper (or) grease with butter or oil and dust with flour. Pressure cook the beetroot for 4 whistles; peel and chop it and blend to make a fine puree. Make sure there no unground pieces remain. In a deep bowl keep the all purpose flour, cocoa powder, baking powder, baking soda and mix well with (use a whisk) to combine well (or) Sieve together to uniformly mix well. In a deep bowl add oil, eggs/yogurt and sugar and beat using a hand held electric mixer or normal whisk till frothy. Now add the beetroot puree and beat well to combine. Now add the all purpose flour and cocoa mixture and fold the mixture using spatula (or) run the electric mixture in low speed. Pour the batter on the prepared cake tin, you could add some nuts or raisins on top of the cake if you wish. Preheat the oven to 180 degree for 10 minutes and bake the cake for 30 minutes or the skewer inserted comes out clean. Notes: You could use 1 cup flour and make the same cake without cocoa powder too. You could cut the cake into tow thin layers and ice with Whipped cream frosting or Cream cheese frosting for any other event. And adding the beetroot is, like you said, such a healthy idea too! I must try it out sometime! Been wanting to make a beetroot cake for ages. Have bought the cooked beetroot, now have a great and simple recipe. Will give it a try and take it to a meeting at Church next week. I am sure they will all love it. Thank you. I have looked at many, many items on Pinterest,but never replied to one before.